Welcome to The Writing Process I. In preparation for the upcoming release of The Sin of His Father, I’d like to share some insights into the process I followed in writing this novel. My hope is, of course, to arouse some interest in the book—but also to offer suggestions to those of you who are writing books or short stories of your own, or who are considering jumping into the world of the writer. I thought I’d begin with character development. There are many ways to approach this important step in writing a novel. 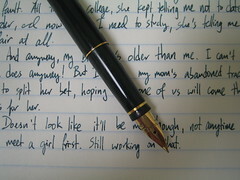 In writing Winter is Past, I did nothing in way of preparation. I just sat down and wrote. I suppose, subconsciously, the protagonist, Claire, became something of an alter-ego. Like me, she had a kidney transplant. She worked as a hospice physician—while I was hospice nurse. Likewise, her husband, Josh, bore many characteristics of my husband—a nurturer, a gourmet cook, a gardener. There was a problem, however: both characters fell flat—Josh, scrubbed clean of flaws and Claire, weak and unsympathetic. It took a lot of insightful critique, offered by my writing buddies, as well as numerous rewrites, to achieve any depth. In retrospect, I wish I had done it all differently. I wish I had planned, outlined. I can’t begin to imagine how much time I could have saved, how many edits and rewrites I could have avoided. As I began the process of outlining The Sin of His Father I chose a much different approach to my characters. To begin with, I “created” a male protagonist—a bit daring for a woman, someone who had no brothers and who had minimal interactions with men. 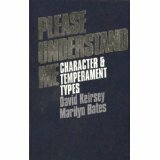 Using Myers-Briggs Character and Temperament Types), I developed detailed profiles of every major and secondary character. These character types are useful in that they are predictors of how a person is likely to respond in a given situation—though a certain amount of the unexpected is desired. The protagonist, Matt, is INTP—that is, introverted, intuitive, thinking and perceptive. (The opposites are extroverted, sensate, feeling and judgmental) In my next process note, I will explain a bit more about these characteristics and give you a peek into how I envisioned Matt. A while back, I attended a writer’s conference session about character development. The speaker suggested using astrological signs as a means to create believable, consistent characters. My knowledge of astrology is scant, but I tried to apply it to the characters in my first novel, Winter is Past. The results weren’t what I’d hoped for. When I worked in the area of nursing education, human resources and spirituality, I had the opportunity to delve into Myers-Briggs…a personality evaluation tool that assesses behavior based on four areas of response: Introversion versus extraversion, Intuitive versus Sensate, Thinking versus Feeling and Perceptive versus Judgmental. The latter may not be so self-explanatory but I use the example of my parents: my dad would be ready to go somewhere 20 minutes ahead of time, while my mother would change her mind a few more times about what she wanted to wear. Think: structured versus easy-going. I returned to my draft manuscript, and applied the Myers-Briggs, using this tool to help me re-create the major characters with the result of more consistent, believable players. For my second novel The Sin of His Father, I wrote out character profiles before I even began to write, again using the Myers-Briggs. It has made it so much easier. There is an old book called Please Understand Me that explains all the possible profile combinations and how they play out in real life. If you can find it, it’s been a godsend. I’m addicted to The Learning Company‘s Great Courses, university level programs presented by the highest quality professors. 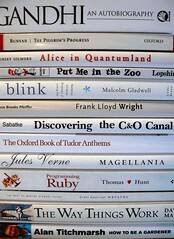 One of the courses, The Art of Reading is taught by Professor Timothy Spurgin of Lawrence University. The lectures are well-organized, clearly presented and as applicable to writers as to readers. While a protagonist needs to draw the sympathy of the reader, he should have some character flaws. Inversely, your antagonist should have something that makes him, if not attractive, at least capable of being understood. Just like us–no one is all good or all bad. As you write, reflect upon your own reaction to the key characters in your manuscript. Are you able to identify with them to some degree? Are there things that, if you were that person, you might be ashamed of or want to change? Are there events or reactions which are surprising without being totally out-of-character (unconvincing)? Is your character someone you would want to know, or avoid? One thing I find helpful when writing fiction is to base my characters on a composite of people I know or with whom I have been acquainted. You can even take someone who is in the public eye. I try not to use one person because I would never want anyone to say to me, “That’s me, isn’t it?” My mother once thought a character was her because I set a scene in a room in her house! And this secondary character was not, initially, a nice person. I hope this brief reflection on characters will be helpful to those of you who have an interest in writing fiction. In a future post, I’ll share a character development worksheet that I prepared for a character in novel #2 to give you something to hang your words on! Happy writing; enjoy the process! A Perfect Family lived next door—perfect mother and father—three perfect children—two boys and a girl. They went to church every Sunday as we slept in—Bible Study on Thursday evenings while we drank beer and watched football. They didn’t yell or curse like we did—like the couple on the other side of us—Their lawn was perfectly manicured. The oldest son went off to college and was an honor student—my son went to work after high school at an auto repair shop. The middle daughter was the star of the soccer team—she played the violin and practiced for hours in the evening and on Saturday. The mother didn’t work because she cared for the toddler—and began home schooling when he was five years old. On summer evenings the father would come home from work and change into his Ralph Lauren polo shirt and barbecue steaks or ribs. The aroma invaded the neighborhood as the rest of us sat on our porches eating hot dogs with potato salad and baked beans. One such evening my son was smoking a Marlboro and drinking a Bud—my daughter was pregnant and I wasn’t sure where my husband had gone. Fireflies danced in the dusk before the shots rang out – five of them. My dogs skittered into the house through the dog door as I grabbed the phone to call 911. They called it a murder-suicide—the weight of perfection—too heavy to bear I guess. Everybody said so. Today, over at dVerse Poets’ Pub, I have the honor of hosting Meeting the Bar. I’m discussing an important aspect of fiction/non-fiction writing with an eye to how it can be applied to poetry–that is, characterization. In this poem, written years ago, I’m including snapshots of two families with the hope that the brief descriptions paint a picture of the tenor of both. Please bear in mind that I have the mind of a fiction writer and much of my poetry is fiction, as this one is. Sometimes people in my past (or present), newspaper articles and other snippets of news serve as a source of inspiration, so that something factual may be borrowed and embroidered. I hope you will join us at the pub to read some incredible poetry and, hopefully, to offer up something of your own. The doors open in forty-five minutes (1500 EDT). I look forward to reading your work. Wordsmith Wednesday–Spice Up Your Characters! 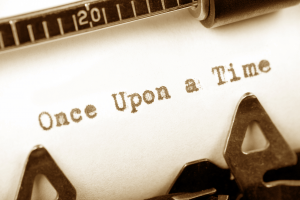 No matter the genre you write, you want to create compelling characters. These are the companions that will accompany your reader on the journey throughout your novel or story, and if they lack interest or personality, who will want them as travel companions? In previous posts, we spoke about character motivation, emotional expression, relationships, point of view, personality types, and the importance of avoiding stereotypes. 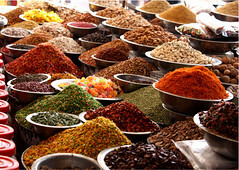 Today, let’s review some of these and take a look at a few more spices you can throw in the mix to (as Emeril would say) kick it up a notch. Don’t allow your characters to become predictable. Surprise your reader by having your introverted protagonist take center stage at a party. Allow your victim-martyr to throw a temper tantrum. Make your malleable co-dependent cling stubbornly to her opinion or stand firm for a cause she believes in. Give your character a deep, dark secret. A secret will add dimension to one or more of your major characters. How about a hidden problem with addiction or a history of childhood sexual, emotional or physical abuse. Maybe an illicit liaison or desire, an unacknowledged sin or a pattern of self-deception will add complexity. Does your hero have an unmet desire or obsession? Any of these will influence his behavior in a number of ways and make the reader want to discover more. Allow her to be vulnerable. Focus in on a fear or weakness with which your reader can identify and that may get in the way of your characters attaining their goals. Create empathy and identification. Give them an enemy. You don’t want everyone in the story to be supportive of your protagonists on their road to achieving what they want. How about a boss who stands in the way of her success? A girlfriend who sabotages her? A lover who criticizes or demeans? Make sure there are some bumps on the road to success. Identify major, secondary and minor characters and proceed accordingly. Spend more time and effort on those who play central roles in your work, but don’t neglect the nosy neighbor, the first wife or the usual suspect who turns out to be a false lead. These are just a handful of devices to make your characters more textured and appealing to those who will travel with them. I find it helpful to harvest personality characteristics from people I’ve known throughout my lifetime, being careful, of course, to keep them unidentifiable. I invite you to take a look at some of the older posts in Wordsmith Wednesday that deal with characterization. I believe that writing complex, compelling characters is one of the most important keys to successful fiction.Have fun with the people you create! Have you ever met someone who doesn’t seem to want to go anywhere in life? We might call these people lazy. A risk of retirement (as I’ve encountered among some people of my generation) is the failure to develop goals or interests they will pursue when their time is no longer dominated by the demands of the workplace. People who have no sense of direction in life can come across as b-o-r-i-n-g. The same can be true of fictional characters we develop if they fail to show motivation. Have you ever set aside a novel or short story on account of a character who falls flat? Chances are, that’s because the author has not engaged you right off the bat by presenting a protagonist who has to face challenges in order to get something he or she wants. The driving force behind a character needs to show up early in the manuscript–I’d say within the first chapter at the latest. A novel that begins with lengthy description or back story is likely to be abandoned. How do you, as a writer, define a character’s motivation? You should have a sense of a story arc, of the beginning and end of the novel (if not all the stuff in between). You want to see that the protagonist will have changed in some way by the end of the story. You want him to meet obstacles that he will face in order to obtain what he wants. So, ask yourself, What drives him forward? If you are unable to define your character’s motivation, perhaps you are not ready to write that novel. Be clear about the desires and needs that underlie his actions. Don’t forget, it’s not only the protagonist who needs to have motivation. Consider this: if your hero is a detective and wants to catch the bad guy, what does that antagonist want? To avoid being caught? To get away with his crime? Maybe to kill the detective? Peoples motives conflict and that adds to the tension of the story. Finally, when you are in the process of revising and editing your manuscript, ask yourself as you review each and every scene, How does this play into my characters’ motives? If you are unable to define the purpose of the scene with clarity, chances are you need to delete it. Or rewrite it to give it relevance in the context of the story. By becoming aware of the play of motivation in your story and character development, you will have more success in creating a manuscript that moves the plot forward with characters who capture the attention of the reader. You will not be boring. I’m in a bullet point mood. That is to say, I feel like posting a list of short, unrelated tidbits that aim to help you improve your writing. Some, I’ve already mentioned. Others are new but don’t need a thesis. To create a bit of drama in the relationships of your fictional characters, triangulate. Add a third party to a friendship or love relationship…someone who threatens to disturb the balance. Within the first few pages of your novel (or first few paragraphs of your short story) create a destabilizing event–something that creates an obstacle to the goals of your protagonist. Take two steps forward and one step backward. The path to resolution should be full of obstacles. As the story advances, allow your hero to solve a problem, but introduce another one in its wake. Keep the reader on edge and turning pages. Create multidimensional scenes. Don’t relay solely on one sense to describe a setting. What does it look like? Smell like? Sound like. The more you are able to engage the readers senses, the better able will you be to hurl them into the story. Read aloud. Whether you edit/revise as you go along or as one unit (or both, like I do) be sure to read your manuscript aloud. 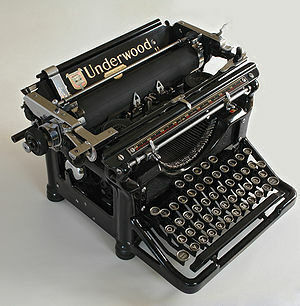 You will catch typos, stilted dialogue, echos, or odd syntax when you go through that exercise. If you can find someone to read with you, especially portions of dialogue, all the better. Be objective. If you use a familiar setting, for example, make sure your descriptions are clear to the reader. You may be able to envision the details of a scene but have you written it so that anyone can picture the progression of the action? Connect with your reader. Identify the demographics of your target audience and write to them. Use appropriate language for age, gender, education level etc. Allow a theme to emerge from your story–don’t force the story to fit the theme. And, finally, whenever possible, substitute an active verb for an adverb or adjective. I hope that you will find one or more of these suggestions helpful to you in your writing and revision process. I would love any feedback you have to offer. Above all, enjoy what you do! While driving from Reno to Palm Desert I listened to some CD’s presented by The Learning Company‘s Great Courses. If you have access to these, I strongly recommend them to you. The particular series I’m addressing is called The Art of Reading and is presented by Professor Timothy Spurgin of Lawrence University. The lectures are well-organized, clearly presented and as applicable to writers as to readers. Today, I want to share an important point from the lecture on characters about developing round characters. We’ve previously discussed the fact that, while your protagonist needs to draw the sympathy of the reader, he should have some character flaws. Inversely, your antagonist should have something that makes him, if not attractive, at least capable of being understood. Just like us–no one is all good or all bad. One thing I find helpful when writing fiction is to base my characters on a composite of people I know or with whom I have been acquainted. You can even take someone who is in the public eye. I try not to use one person because I would never want anyone to say to me, “That’s me, isn’t it?” My mother once thought a character was her because I set the scene in a room in her house! I suggest referring back to a couple of posts I’ve written on character development using the Myers-Briggs Type Indicator or the Enneagram because these personality profile systems help you to identify how a character might react in a given situation as well as their strengths and weakness. This can suggest a source of surprise as well, since none of us is a perfect fit to any one personality type. I plan on using the round/flat character definition to help in rewriting my second novel…a goal I’ve set for my visit here in the desert.